Stylish guides to two classic Poe-inspired horror movies, with reduced cover price and combined low shipping rates! 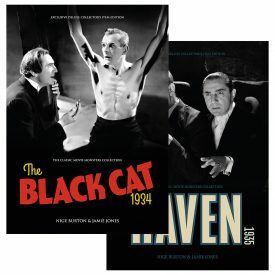 The works of Edgar Allan Poe have inspired countless readers, and Universal’s movie adaptations of The Black Cat in 1934 and The Raven in 1935 rank among some of the most eerie. Our Poe Movie Guide Bundle allows you to explore sinister worlds of torture and madness while enjoying a lower cover price on each magazine and the convenience of combined postage. 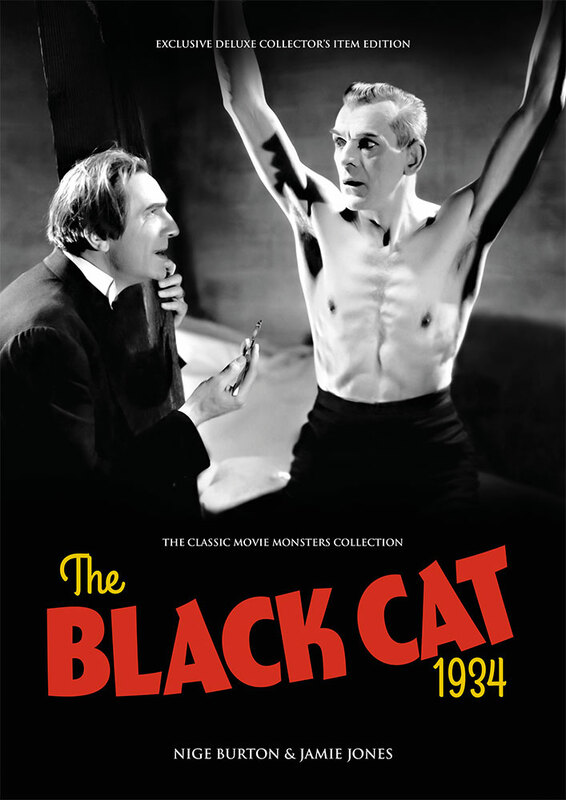 The Black Cat 1934: It’s going to be a good game… Pitting Boris Karloff and Bela Lugosi against each other to devastating effect, The Black Cat is a truly chilling movie. Edgar G Ulmer’s sterling direction turns the sleek lines of Hjalmar Poelzig’s elegant home into a terrifying nightmare, and our Ultimate Guide magazine is here to take you through every moment of this compelling movie with a wealth of information, stills and facts. The Raven 1935: The pendulum has been sharpened and the mirrors are polished, so that gentle rapping at the chamber door must be The Raven, Universal’s grisly Poe-inspired 1935 thriller. 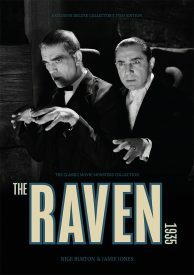 Bela Lugosi and Boris Karloff’s superlative performances are just the start of any exploration of this movie, and the Classic Monsters Ultimate Guide is an essential for your monster movie guide collection as you enter the terrifying world of Dr Richard Vollin. Our Poe Movie Guide Bundle is an ideal addition to your Classic Monsters magazine guide collection, offering new insight into these two classic horror pictures. With a discount on the cover price and reduced combined shipping, it’s a must for any fan of Lugosi, Karloff or Edgar Allan Poe.